Zipper preference (3/4 or full-zip)? 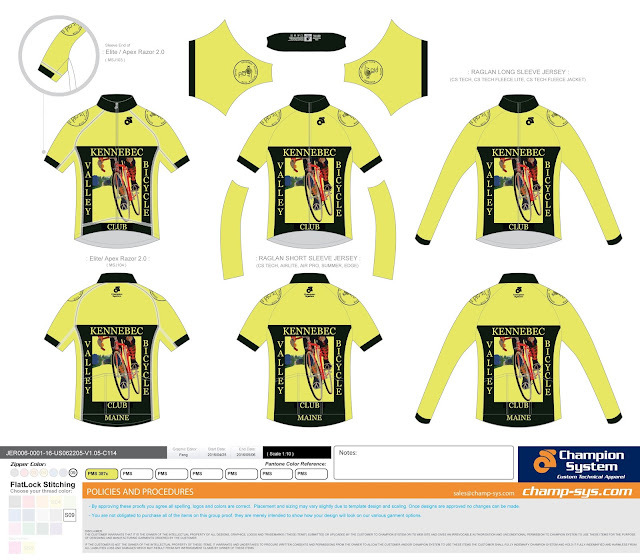 The company, Champion System, has information on the fabrics and configurations they provide, as well as links to sizing charts: http://champ-sys.com/browse-custom-apparel/cycling-collection/mens-cycling-collection/tech-short-sleeve-jersey.html. The basic jersey is the Tech Short Sleeve Jersey, at $48.00; the long sleeve version is $60.00. They have jerseys with additional features, and you can add those to your order - I'll just need the additional specs. All of the jerseys will be non-returnable, so pay heed to their sizing charts, etc., and contact me if you have any questions. Then I'll need you to send me a check, made out to "James Merrick" in the amount of your order, or alternatively, you can pay me directly in cash on an upcoming ride. But I will need payment before I put in an order. Once the jerseys are delivered I can bring them on a ride and hand-deliver them; otherwise I'll need addresses where to send them. Thanks for your patience. If you're undecided by May 15, I may be able to place a second order later in the season, if there is enough additional interest. Don't forget: tomorrow's ride is in Skowhegan at the Oak Pond Brewery at 10 AM!